Over 70 per cent of the 19 million Mozambicans live in rural areas, with nearly 40 per cent in the northern and central regions. The sector is dominated by 3.2 million smallholder families. 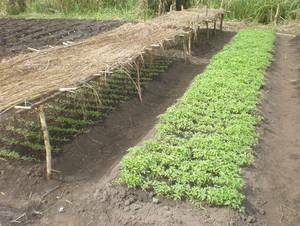 The majority of smallholders grow food crops, and about 16 per cent also participate in cotton and tobacco out-grower schemes. Main agricultural products are maize, cassava, cotton, sugar cane, tea, tobacco, sisal, cashew nuts and copra. The discussion on the Mozambican agricultural policy in recent years is dominated by the question whether large areas should be given to foreign farmers. Agriculture is the major sector of Nepalese economy. It provides employment opportunities to 66 percent of the total population and contributes about 40 percent to the GDP. Only about 20 per cent of the total land area is cultivable, another 33 per cent is forested, most of the rest is mountainous. 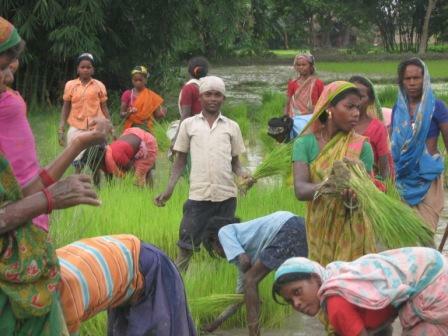 The lowland Terai region produces an agricultural surplus, part of which supplies the food-deficient hill areas. 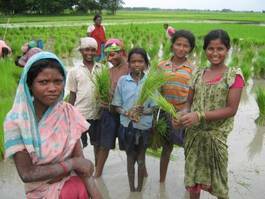 The project area is located in the Terai region. 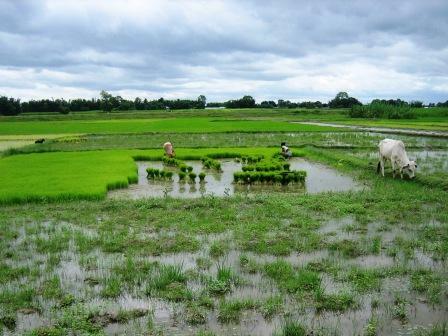 Rice is the most important cereal crop. Other food crops include wheat, millet, sugar cane, barley, and coffee, but their contribution to the agricultural sector is small. Therefore, the development of the agriculture sector is seen as key for the development of national economy and of foremost importance for the alleviation of poverty. 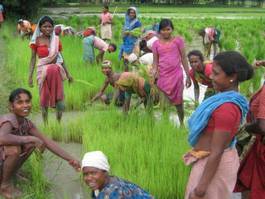 A main crop in Sirsia is paddy. The community shares the work.